The information presented on this page was originally released on November 11, 2013. It may not be outdated, but please search our site for more current information. If you plan to quote or reference this information in a publication, please check with the Extension specialist or author before proceeding. I decided to go big, so I bought a veritable grove of citrus trees, or at least it seemed that way in my mind. I ended up with one Satsuma orange, two Meyer lemons, one kumquat and one key lime. Since I was feeling inspired, I also added a couple other tropical fruits -- a papaya and two guavas. I won’t dwell on these last two. The papaya flowered but didn’t set fruit. The guava set fruit, but they were as hard as baseballs. Satsuma oranges are related to mandarins and are very easy to peel. To say these trees set a lot of fruit is an understatement. They set huge amounts of fruit. There were so many flowers on my young tree that I went ahead and removed about half of them. If they all had produced fruit, the tree would have collapsed. As it is, my small, year-old tree is bent over with so many oranges that it is almost touching the ground. My wife and I have sampled a couple of early-ripening fruit, and I must say they are pretty good. My two Meyer lemon trees are completely different from each other. One is a small tree I got at a “citrus center” and brought back from a trip to Florida. The other I purchased from a local garden center. The Florida tree has two green fruit. The local tree is loaded with sweet, yellow fruit. The Meyer lemon is not like the thick-skinned lemons in the grocery store. These are probably a cross made long ago between a lemon and an orange. Meyer lemons are thin-skinned and really sweet. My first-year crop is destined for a batch of homemade limoncello, which is a holiday family treat at my house. I’m also excited about my kumquat crop. These fruit are produced in astonishing numbers, but due to their small size, they do not threaten the tree. You don’t need to peel kumquats, as the rind is sweet and completely edible. 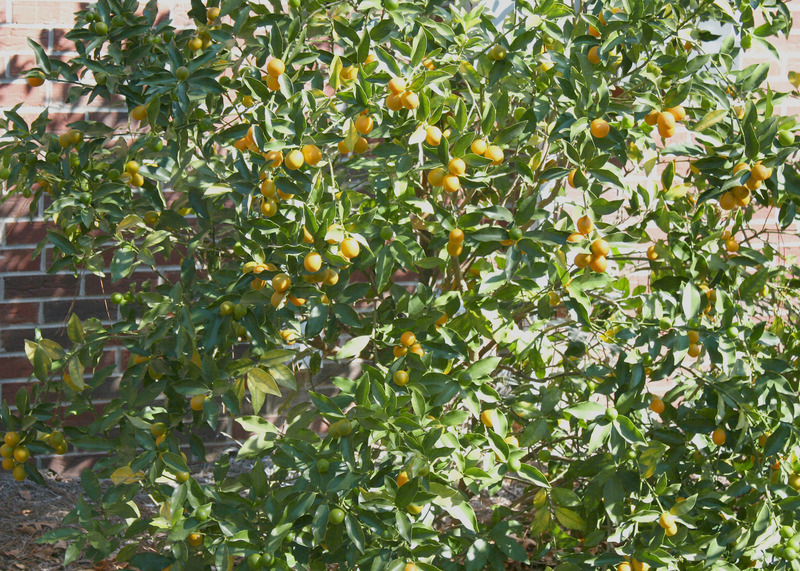 Kumquats are perhaps the most cold-tolerant of the citrus trees, extending the northern range for home gardeners. But citrus trees need to be protected from cold temperatures. I planted all mine in containers so I could move them to the garage for winter protection. This precaution is important as citrus trees are grafted, and the graft union is susceptible to freeze damage. 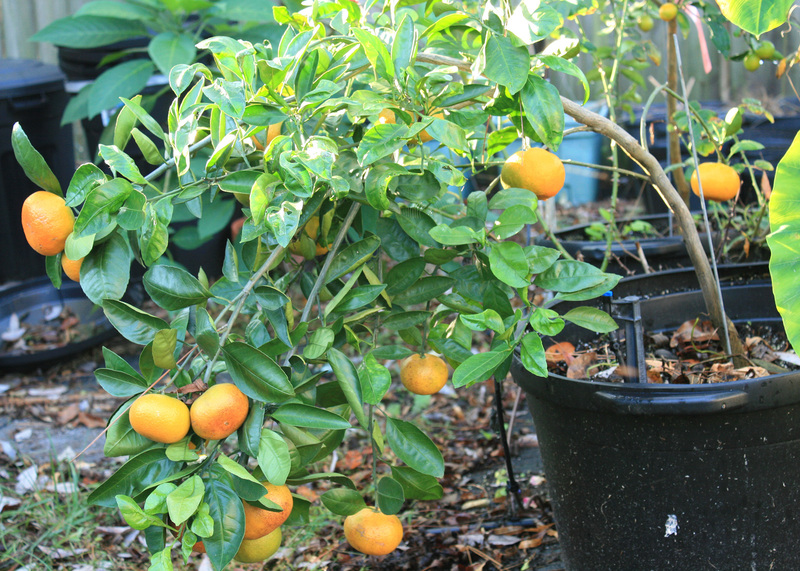 However, I planted my citrus trees in 25-gallon containers since I tend to go overboard when it comes to the garden. I quickly realized that there would be no way I could move these really heavy containers to the garage. I’ll have to resort to covering my citrus trees when the temperatures dip. Knee replacement surgery kept me out of the garden for a time this summer, and when I got back out there, I found that many of the citrus leaves had curled. The trees had been invaded by leaf miners, those pesky pests that bother tomatoes, peppers and many landscape plants. I will take care of these problems at the appropriate times next year, but watch your citrus trees for similar pests. 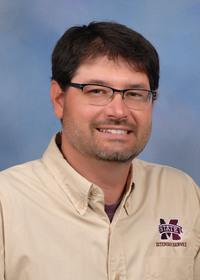 While growing citrus is fairly easy in the coastal counties, gardeners in northern parts of Mississippi don’t need to be left out of the fun. The Extension publication “Growing Citrus in Containers in Mississippi” is an excellent guide for success growing citrus in your garden and landscape. Among other things, you’ll find container recommendations so you don’t run into the problem I did with my plus-sized containers.